The Arco lamp drawn by the brothers Castigliono in 1962 is a true icon of design. 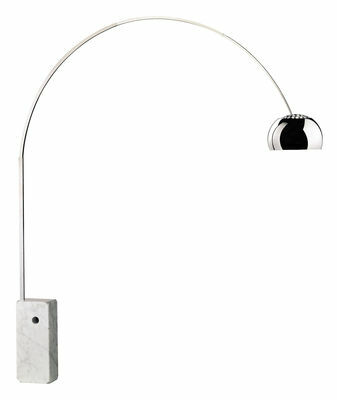 From the base in white marble from carrara, gushes an arch in stainless steel. remarkable by his elegance and its exceptional dimensions. A combination of really innovative materials: the marble, traditional material allies itself to the modernity of the steel. Arco is a suspension but you don't have troubles with holes or fixings. 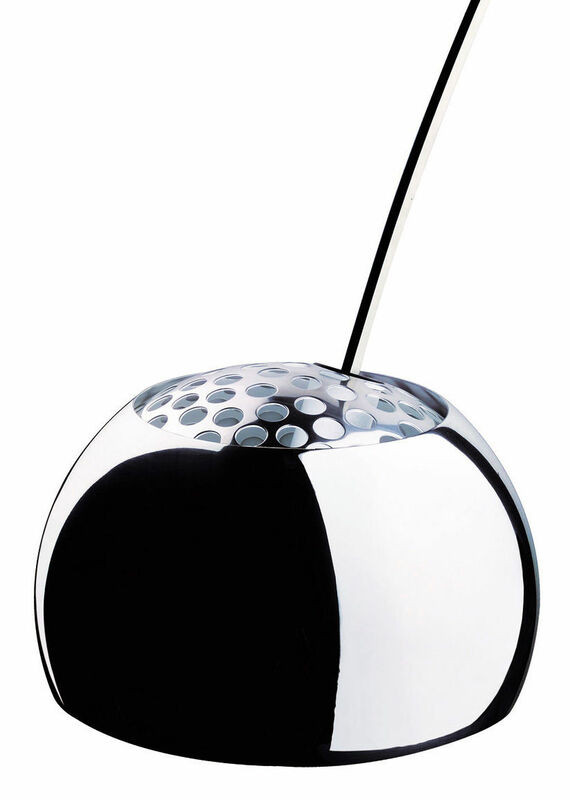 The luminous source is well projected in order to light up pleasantly the table or all other corner of room. You can change the height of the arch like that you can place the cupola where you wish it. Dimensions: Height 240cm / Width: 220 cm.